As energy transportation facility, pipelines are very vulnerable to intrusion, vandalism, sabotage and terrorist attack. The pipeline along ROW may be damaged with explosives or by other mechanical means causing flows to disrupt resulting in a release of pipeline flammable contents. On the other hand, computer control systems or SCADA could also be cyber-attacked by intruders leading to significant flow disruption. Since pipelines supply fuel for industry, transportation, power plants, manufactures, and other commercial uses, serious disruption of a pipeline network poses additional downstream risk. Plant and pipeline security management is one of the most current and modern integrated management system to insure pipeline safety from third party threat and possibly damaging action in particular for onshore and cross-country pipeline system. 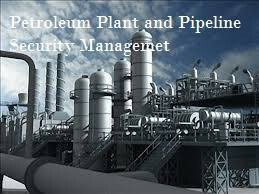 It covers detail risk assessment and mitigation plan on both plants and pipeline system. In this training course, “Security Vulnerability Assessment Methodology for the Petroleum and Petrochemical Industries” prepared by API and the National Petrochemical & Refiners Association (NPRA), and “Security Guidelines: Natural Gas Industry, Transmission and Distribution”, prepared by American Gas Association, USA will be used as major references. To enhance the training, as lesson learnt, various special cases study of pipeline and plants people affected accident around the world will be presented in details. Knowledge and skill obtained from the training will be useful to set up the strategy to maintain pipeline safety and integrity from possible third party damaging activities. It introduces a new perspective on pipeline safety management that will provide invaluable benefit to pipeline owners, operators and other concerned parties. Plant and Pipeline Operators, Supervisors, Engineers and Managers.